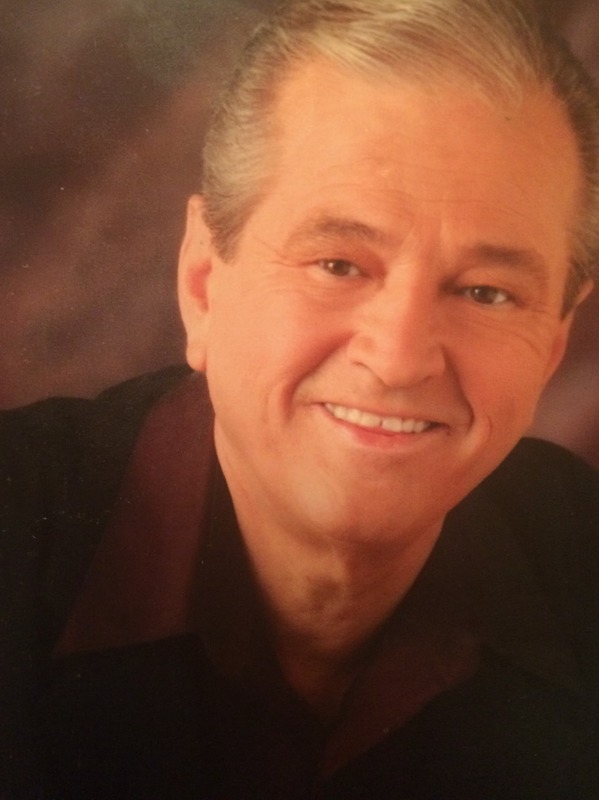 Kenneth Reed Houck, 74, passed from this life to heaven on August 7, 2015 in Clearwater, FL. He was born in St. Charles, VA on Feb. 3, 1941. His parents were Reverend & Mrs. J.G. Houck. After graduating High School in New Port News, VA, he attended Virginia Tech and Lee College. He served as Associate Pastor and Minister of Music at the Riverside Church of God in Atlanta, GA and while there, married his sweetheart of 50 years, Joyce Ulrich. He later served as Music Minister in Kannapolis, NC. His service to the Lord continued as Pastor in St. Petersburg, FL, Winter Haven, FL, New Orleans, LA; State Overseer in Minnesota; Pastor in Savannah, GA, and then World Missions Representative for Church of God World Missions. He then served as pastor in Orlando, FL for 19 years, retired in 2005 and moved to Pinellas County, FL. He is survived by wife, Joy; daughter Kendra and son-in-law Anthony McDaniel; and grandchildren, Alivia, Alexa and Abby McDaniel; daughter Karla and son-in-law Greg Riley and grandchildren Garrett, Emma, and Carolina Riley. In our hearts forever. Services are scheduled for Monday, August 10, 2015, at Abundant Life Ministries located at 1550 South Belcher Road, Largo, FL 33771. A Public Viewing will be held at 12:00pm and the Funeral Service will follow at 1:00pm. A graveside committal and interment will follow at 4:00pm at Serenity Gardens Memorial Park located 13401 Indian Rocks Road, Largo, FL 33774. We can not imagine our lives without your family. You are a blessing to us. Pastor Houck will forever be in our hearts. Our deepest condolences to the family.Pastor Ken always greeted me as he came into the sanctuary at church on Sundays.I will miss him greatly.He will never be forgotten. Words alone can not tell how sorry I am for your loss. Ken touched so many lives that only God knows how many. If it had not been for Ken Houck as an young teen at the time I would not be living today to tell of the love of God. He has made it to the Promised Land that he many times over preached about. Sorry for your loss. May you feel comfort and peace as the lord wraps his arms around you. Love & prayers. The Lashley’s and Sanderson’s. What a blessing you were to us when you pastored Village Church of God. Lessons we brought our children up with. To the family…. May God Bless you with many of the Wonderful Memories of the people he reached and saved through his memory!! So sorry to learn of Rev Houck’s passing. Praying for the family in this time of sorrow. Ken left an indellible imprint on our lives. We are saddened by his passing and know the sense of loss for all of his beautiful family is deep. Our continuing prayers are for you. May the God of all comfort be with you each one in these days of grief. Love you all. Joy , Kendra and family. I am so sorry for your loss and. I will be praying for you. Our loss is Heaven’s gain and I know that there are lots of people are celebrating in Heaven at this time! Kenny and I have been friends since our teen years when we would play a lot of ping pong in the basement of the parsonage in Radford, Virginia! I will miss him! so very sorry for your loss. our hearts and prayers go out to the family. your pain is great but Pastor”s reward is greater. what a comfort to know where he is and that he is with our HEAVENLY FATHER. no doubts in anyone’s mind. Dear joy! You and Pastor Ken were so gracious and beautiful to my family when you Pastored us! You were always there when we needed you whether it be day or wee hours in the morning! Thank you both for your obedience to the Lord for your calling for so many years! I know without a shadow of a doubt Pastor Ken was given a HUGE MANSION in GLORY!!! Father God I asked you to give joy your peace father your peace that passes all understanding as she goes through this time of grieving!!! I LOVE YOU WITH ALL MY HEART!!!!! My heartfelt condolences at this time with the transition of Ken, the love of your life. You two are truly two hearts as one. I know that you know he is looking out for you still from above. God comfort you and may your memories keep him alive in your hearts forever! God Bless! I remember how kind Rev. Houck was to me many years ago when he pastored Eloise then Village Church of God. He and my father are now praising the Lord in heaven together. To the family, may God comfort your hearts during this difficult time. Rev. Houck was a wonderful example of a true man of God. May God bless you. Ken was a friend to me and pastor of my mother, Gladys Kennedy at the St.Pete church, his first pastorate. A great preacher and singer of the gospel. I will remember him and Joy with wonderful memories. The Lord was Ken’s shepherd. Ken was the shepherd to so many others. Ken can now lay down in God’s green pastures and stroll beside the still waters. There are no longer any fears. He is comforted and sitting at the Father’s table. There is no pain and his cup runs over. He will be with God forever. Ken was my childhood friend. He was closer than a brother. My heart goes out to Joy and Ken’s family for their loss. He was our loss too. I have so many, many memories of Ken that I will forever cherish. God blessed us all with Ken’s life. Joy, I am so glad that I was able to share a portion of my like with Ken as my friend. Please know that you and your family are in my prayers. He was the first Pastor for my family when we moved to Orlando, Florida. He will be greatly missed, but I know he’s in a better place. Our condolances to Joy Houck and his daughters, your family is in our thoughts and prayers. Love, the Gutierrez Family. So sorry for your loss, we will be praying for your family. Heaven will be a little sweeter. May his Peace rest upon your hearts. Pastor Houck and Joy were my first mentors in the ministry. My heart it so saddened by this news, but I know he is rejoicing in a city where there is no more night. Thank you Jesus for your promise. Muck love and peace to you precious, Joy. Pastor Houck and Joy were my first mentors in the ministry. My heart it so saddened by this news, but I know he is rejoicing in a city where there is no more night. Thank you Jesus for your promise. Much love and peace to you precious, Joy. With heartfelt sympathy and prayers to Joy, Kendra, Karla and family in this time of sadness. May God comfort your families hearts. So sorry to hear of the passing of Ken Houck. I was in the Riverside Church of God choir at the time Ken met Joy. What fun we had while Ken was at our church. We recorded an album. My most vivid memory of Ken was when he would stand on the altar facing the choir and direct us in “Blessed Assurance.” It would look as though he would fly right off to heaven right then. Blessings and prayers for all of you. Dear Joy and Family: My first husband, Buddy Smith and I were part of the Riverside Choir when we did the album. Buddy passed away and 13 years later I married Cecil Garmon was also a part of the Riverside Choir when we did the album. We loved you and Ken and pray for you at this difficult time. Pastor Houck I love and miss you ..You are the reason why my life now belongs God.And doing our wedding Ernie and I.You were so sweet and kind to everyone.And your the reason many people are saved and living for God.I have Memories and Photo’s of you that will always keep me to be strong no matter what happens in my life.I cried when I found out you had passed a way.I will never forget you.